Oh Annie! She just makes me smile. 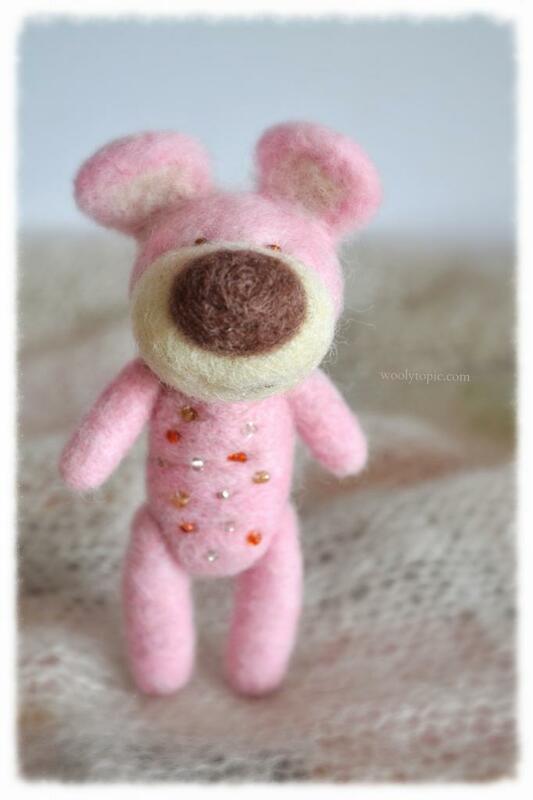 All that chubby goodness and her ivory bow and her candy coloured bead necklace… I can’t even! She has a red smiling mouth. Something I don’t do too often. Coal is one of my personal favourites. Quite distinguished. I used black roving to create Coal. 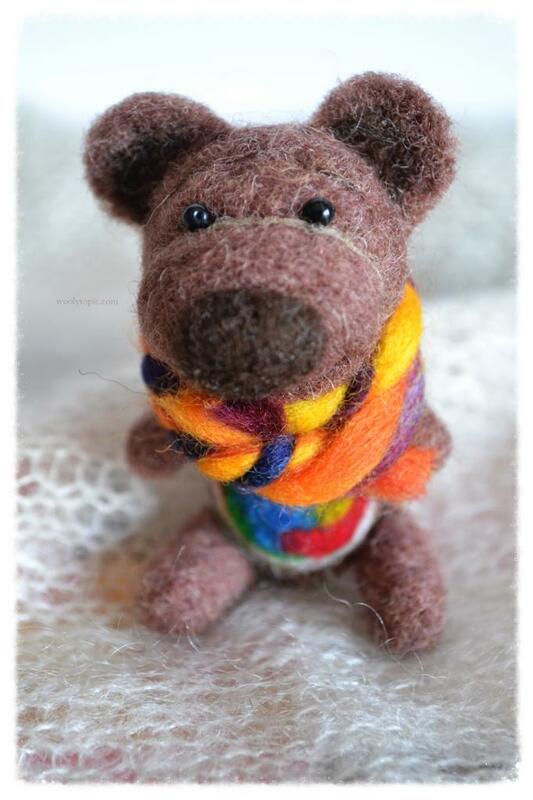 He has a rainbow mosaic on his belly and has a wool yarn scarf in bright colours. Probably his copper nose is what makes me eeeekkkk most. CORAL! Just. OH MY. coral swoon! First of all I need to say that it’s hard to impress a 14 year old girl. 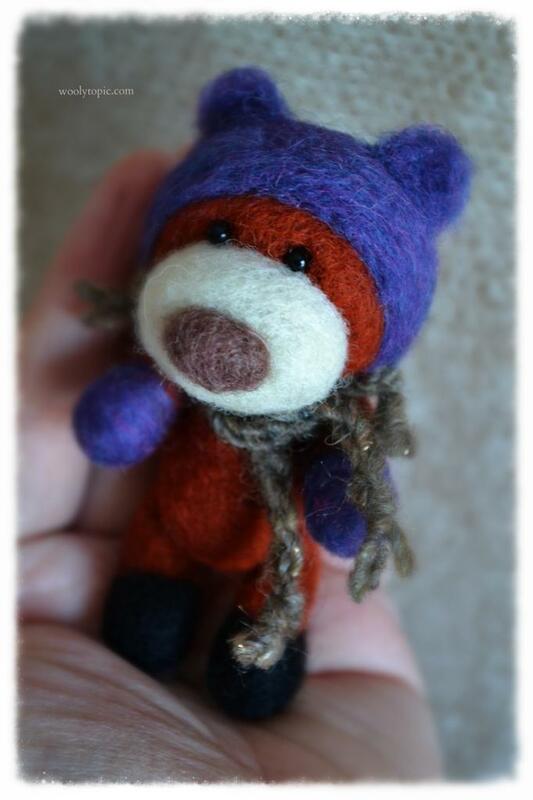 When I showed my daugther Coral… she ‘aaaawwwed’… Coral has a purple hat with wool tassels. Notice her purple mittens and black boots. SUCH a cutie! 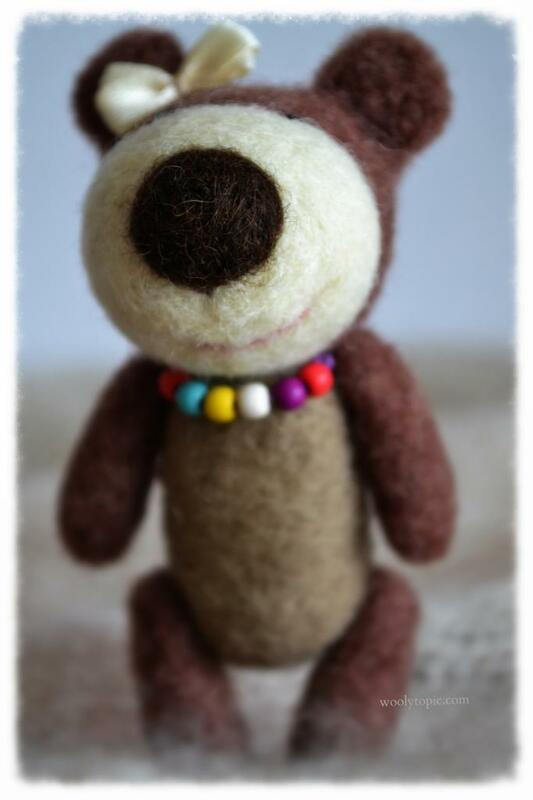 I’m also working on a mystery bear. She’s a little more detailed, but also 4″. She just happens to have demanded some extra things is all. I will introduce her when she’s done parading in front of the mirror. She’s pretty excited to go out and enjoy her duds though. These little friends will go into my Etsy shop. I’m going to work on doing so for Friday January 23rd. 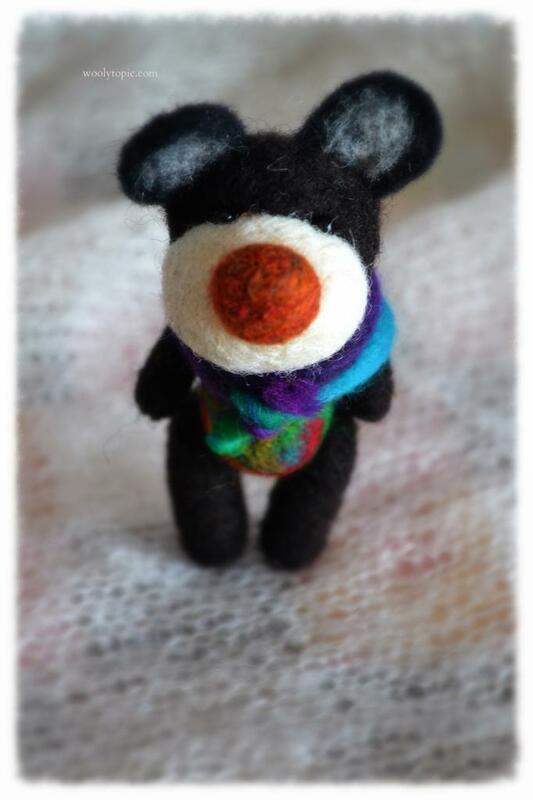 I can update here when they are in there and ready, as well check the FB page or instagram to find out when the pocket bears are officially on Etsy looking for love! 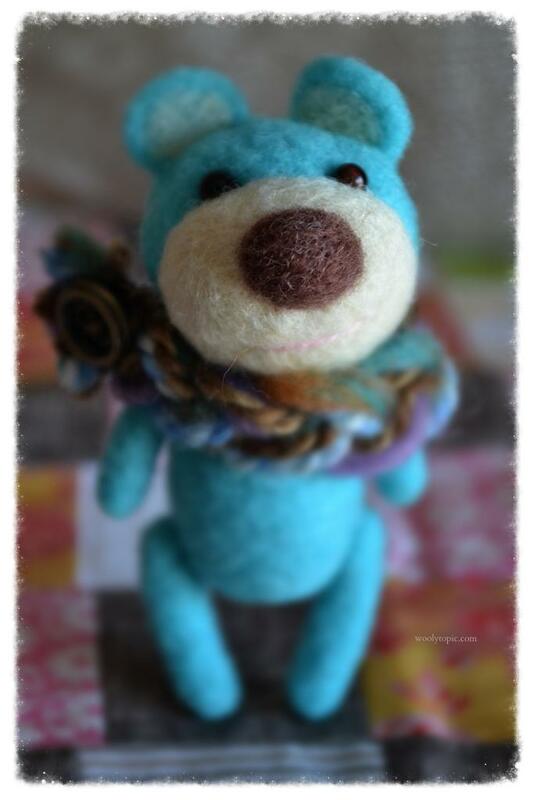 < Previous Harvey – The Instagram Giveaway Bear! Next > Maura – Special Edition Bear. Or as we like to call her: “the mirror loving one”.